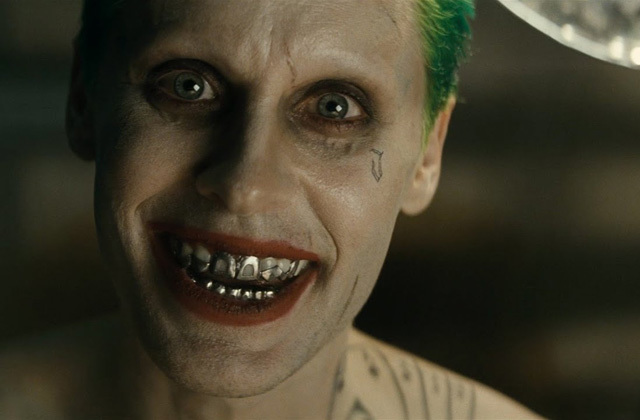 It's The First Trailer For SUICIDE SQUAD | Warped Factor - Words in the Key of Geek. Are you ready for something a bit different? Debuting at Comic-Con 48 hours ago, and finally making its way to us mere mortals, it's the first trailer for Suicide Squad. You know the deal - a group of super-villains accept a secret government mission that will likely result in their deaths, it's kinda the anti-Justice League... kinda. I don't know about you, but I might just be more excited for this than Batman v Superman: Dawn of Justice. Looks good, no? We've still got a fair while to wait, and in fact the movie's not even finished shooting, but I'll be booking my ticket for an August 5th 2016 midnight showing of Suicide Squad as soon as they're available.